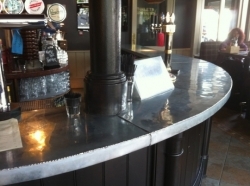 Eco Roofing also offer their excellence in metal work to bars, counters and worktops. Following the fashionable zinc bars of Paris, cladding tables, work surfaces and bars are becoming more and more popular across London. 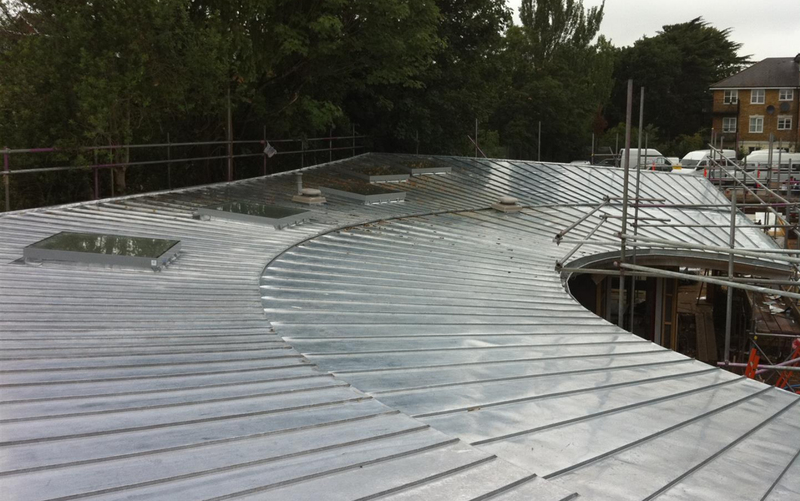 On-Site installation of Zinc bars in Surrey, London and throughout the South East. If you fall outside of the catchment area then we can make and clad worktops to your specifications in our workshop and have them delivered to you directly. 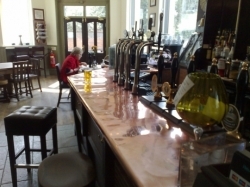 Pictured are some examples of Public houses, Restaurants and domestic kitchen bar tops that we have carried out. Both zinc and copper bars are simply fixed or adhered to a natural timber substrate, treated timber or WPB ply are fine, MDF boarding is not ideal, although can be used. The underside edges are usually fixed with annular rung 25mm fixings and so the substrate should be at least this wide (25mm) although 50mm is more common. Junctions, corners and extra wide areas can be overcome with a welded joint or in some cases simply lapped as shown in some of the examples above. 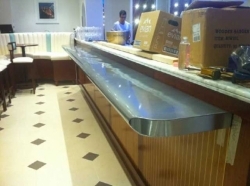 Call us on 0208 657 7725 (local rate) or 07917 043 013 for further information or visit: www.zincandcopperworktops.co.uk for further information. Alternatively, you can email us for an estimate: jpage.ecoroofing@live.co.uk or info@zincandcopperworktops.co.uk.